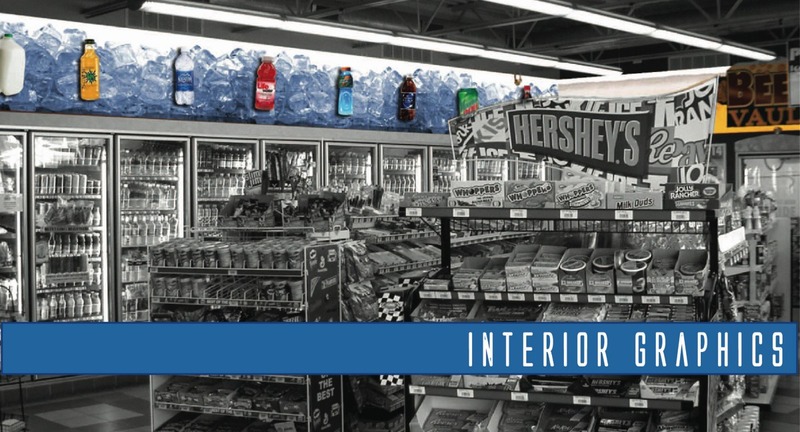 Energize your interior graphics and merchandising with a custom Frieze Interior Graphics package from USD. Our 3D and lifted effects are an innovative and highly effective way to get direct your customers attention, promote products, and increase sales. From functional branding that adds safety and direction, to refreshing and delicious looking graphics that spur new sales, USD Frieze Graphics packages bring your store to life. Consumer behaviors are a science. The visual appeal of your site drives sales and the overall quality of the customer experience. Innovative, eye-catching in-store signage and graphics draw your customer in and encourage product sales. USD works with with your site design and merchandising strategies to provide the best possible in-store experience for your customer. Affordable interior graphics, such as lighted graphics and 3D signage leave an impression that sets you apart from the competition.